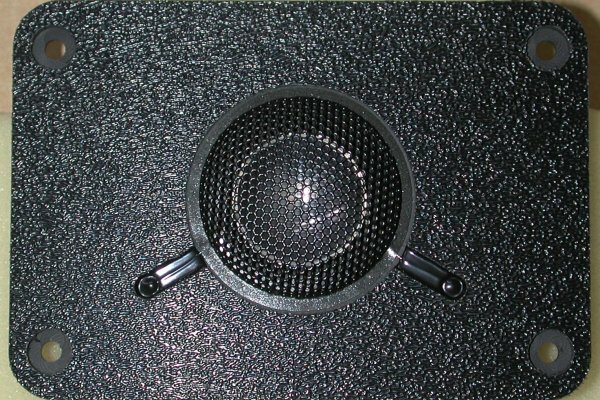 This configuration of my aluminum concave dome tweeter is designed to be a drop-in upgrade for the ubiquitous Peerless soft dome tweeters used in many, many speakers from the 1970s and 1980s. The aluminum concave dome is far smoother and sweeter, with wider dispersion, than the soft convex dome it will be replacing. Since it has similar efficiency and impedance characteristics, it will work with most existing crossovers designed for the Peerless units, but if there is any doubt, just ask. It measures 4 1/2 by 3 1/8 inches, and the input terminals are 0.110" male quick disconnects. I can also use a 0.200" male for one (or both) if yours are made that way. The mounting holes accommodate a #8 pan head screw or bolt, and #6 will work fine too. 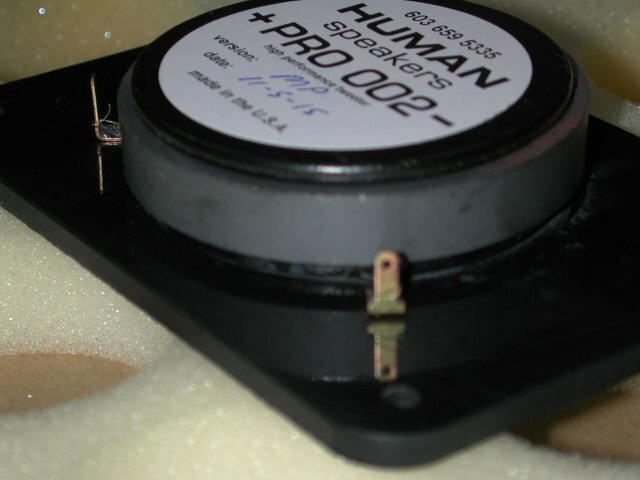 There are many Peerless tweeter part numbers that use this basic configuration, including 810665, KO10DT, and DT115. It is seen in many Advance, ADS, B & O, Braun, Cizek, Design Acoustics, IMF, Infinity, Jennings Research, M & K, Paradigm, Polk Audio, Tandberg, and later model AR (Acoustic Research) and KLH speaker systems. The magnet structure and specifications are the same as the PRO 002 M2.